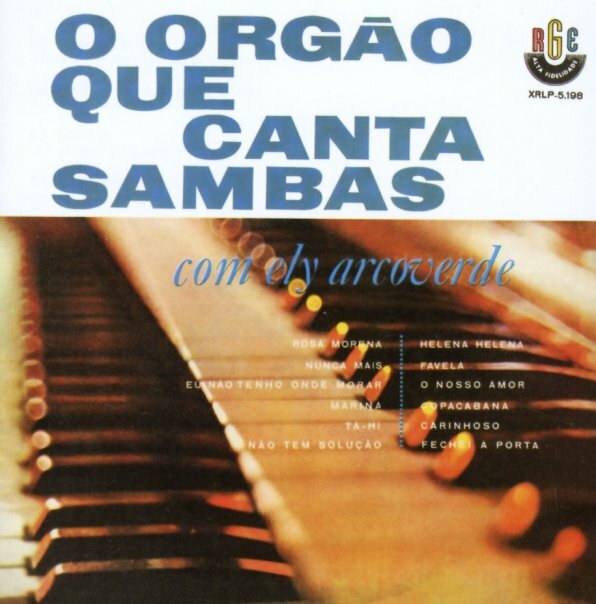 Wonderfully weird bossa organ from the lesser-known Ely Arcoverde – a record that stands in nice contrast to better-known 60s Brazilian organ sessions from Walter Wanderley and Ed Lincoln! The rhythms are often in a samba mode – arranged by Waldemiro Lemke – but Ely's got a way of playing the organ that often makes the notes come out sideways – kind of watery and fluttery, with a really unique quality that shows up especially on the solos – where it feels like the organ is almost singing! Most numbers feature some sort of horn in the group – giving the tunes a good little punch – and titles include "Ta Hi", "Carinhoso", "Fechei A Porta", "Favela", "Marina", "Rosa Morena", "Helena Helena", and "Eu Nao Tenho Onde Morar". © 1996-2019, Dusty Groove, Inc.